Our Baby Photo Contest ends tomorrow, Saturday, May 1 at 3 PM. A $50 gift certificate will be awarded in three categories: Cutest, Most Original, and Most Comical. There are some additional rules and restrictions but you can give us a call. Hurry in with those photos! As we have mentioned in earlier blogs, one of the advantages of being part of an group of independently owned childrens stores is that we get up to the date information regarding industry recalls. We were just notified of a recall on Simplicity cribs. These cribs were sold by the “big box” retailers such as Target, Babies R Us, and Walmart. For more information, contact the CPSC’s crib information center. This is also a good site for crib safety tips. Several weeks ago we wrote about the recall of certain slings. The sling brands that we carry were not part of this recall. However, it is important to note that there is a right way and several wrong ways to use slings. The Balboa Baby website (www.balboababy.com) has an excellent video that demonstrates the correct way to use a baby sling. Apparently it was on a segment of “The Doctors,” a cable show. Check it out under news and reviews at the site. 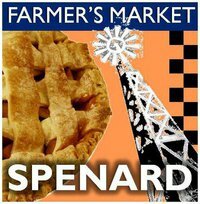 May 22 the Spenard Businesses are getting together to celebrate Joe Spenard’s Birthday and the Kickoff of the Spenard Farmer’s Market. Put it on your calendar we have lots planned! Details to follow as we get closer to the date. Happy Feet Shoe Sale is this Friday and Saturday (April 23 and 24). 40% off selected shoes, boots and sandals. 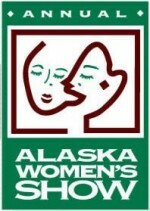 See us at the Alaska Women’s Show, April 23-25 (Friday-Sunday) 11AM to 6PM at the Sullivan Arena, southwest corner. …and don’t forget our Baby Photo Contest! We need those photos in by Saturday, May 1 at 3 PM. We just got back from a much needed break in Hawaii. 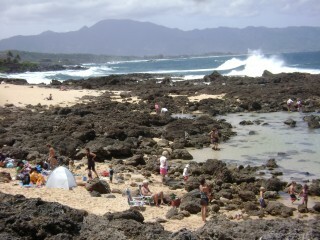 It is always a thrill to see the keikis (Hawaiian for children) on the beach. The Hawaiians know about the sun damage and have lots of ways to prevent a bad sunburn. Even on cloudy days, the rays can be harmful. We saw lots of pea pod tents, UPF 50 sun protection clothing, sunhats, UV400 sunglasses and sunscreen especially formulated for children. Junior Towne has all of these for Alaskans travelling to warmer climes in December, January and February. In fact, we sell more swimsuit diapers and sunhats in January than any other month. The Peapod tents are great mosquito protectors during an Alaskan summer. The sunprotective clothing from I-Play and Patagonia we sell is terrific. Mustela makes a great sunscreen for little ones. So, why waste a day of vacation shopping for the sun country necessities when we carry them here all year around? At, any rate, it is terrific to be back to Alaska, although the sun was much appreciated. We were happy to not be here for the seven inches of snow in Anchorage last week. Onward to spring! Don’t forget our Britax Sale Event this Friday and Saturday, April 9 and 10! $50 off any convertible Britax car seat. Also, be sure and get those baby photos in for our contest! Recently we had a meeting with many other merchants in the area, in speaking with them we were astonished at how much we all do to improve Anchorage. It is simply amazing to me how the “locals” contribute. We are truly part and parcel of the fabric of our community. During the month of March Junior Towne was asked to contribute to 24 different organizations- social service agencies, preschools, non-profits, public and private schools and many others. We were able to honor 19 of these requests whether for auction items, monetary contributions or our time. We only can do this with the continued support of you, our loyal customers and we do appreciate you! Rene from Blaine’s Art directed us to www.the350project.net designed to keep our dollars within our community. The idea is to spend $50 each month at three local businesses where you might have spent that money on the Internet or elsewhere where the money would not stay in the community. Think of the impact this could make! Remember that the locals are the ones who make the difference! 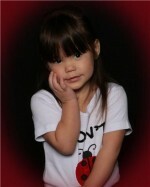 We love to see our Junior Towne fashions! 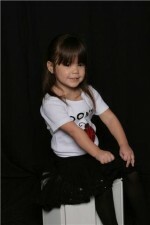 This little girl is wearing a Haven Girl outfit for Valentines. We just received information on a Top of the Stairs Gate recall by Evenflo. The recall is voluntary and is a result of some minor injuries caused when some slats became loose or fell out allowing the child to squeeze through the larger opening and fall down stairs. There have been no serious injuries reported. We like to keep you up to date! You are currently browsing the Junior Towne Blog weblog archives for April, 2010.